It's not that often that we get excited to see new kit arrive with us but over the last few weeks, we've seen a couple of new items that haven't quite jumped out of their box at us yet we've looked at them and thought "Yes - we can see our customers buying that..."
The first one is the Stagg Cyclops, you might have seen it listed on our online shop and wondered what it actually does - in essence it's a small COB LED that can be programmed to point at almost any point on your stage then be moved to another point later in the production - all under the control of your lighting desk. You can see more and a short video in our shop site here - you'll also be amazed at the price - £270 +VAT. Suffice to say that it's a COB LED - the same unit as in the King PAR10 so it gives a nice even field that allows you to mix Red, Green & Blue to get a variety of colours. 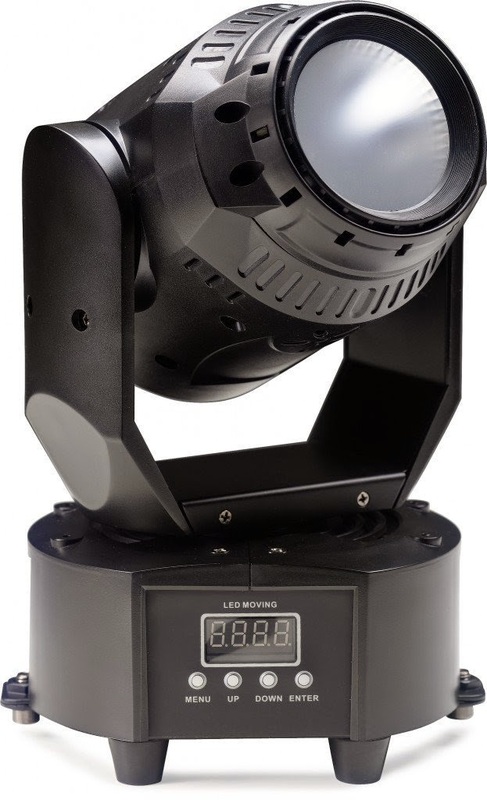 It's beam angle is probably similar to a Minuette fresnel which makes it ideal for a small stage, the added advantage is that you can move is beam around the stage as well. 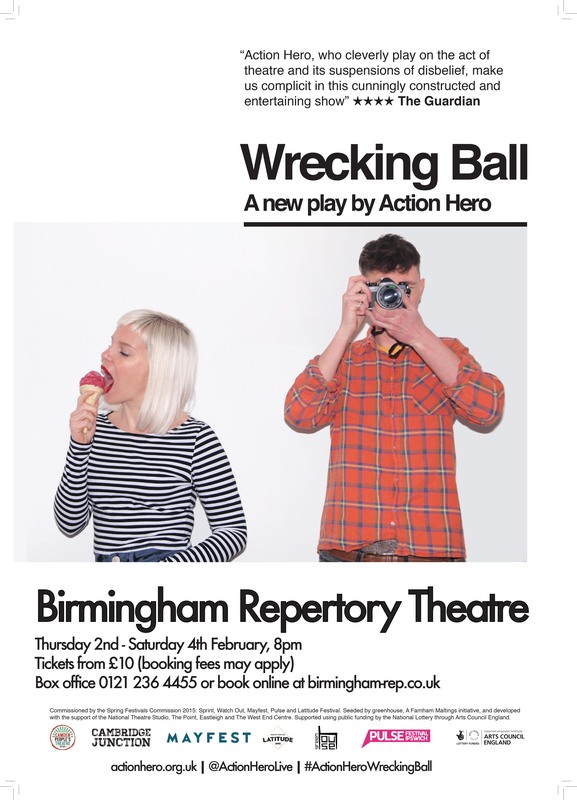 We've sold some already but if you'd like to have a demo, then give us a call and we'll sort something out. 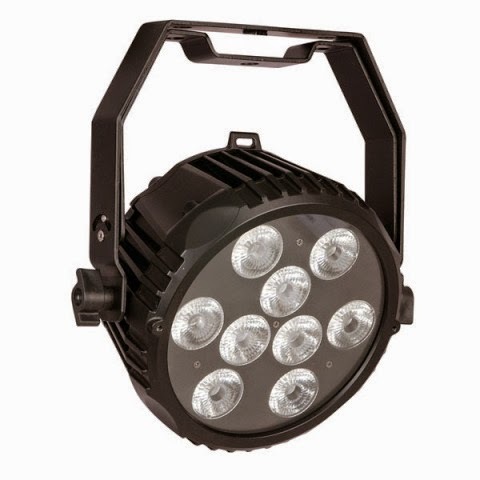 The second unit we've got excited about is the the Showtec Hex LED offering - the Powerspot 9Q6. It comes from the same 'family' as the Intense units that we first wrote about at the end of 2013 (have a look here to remind yourself). The Powerspot 9Q6 uses an array of 9 discrete LED units with each unit having emitters for Red, Green, Blue, White, Amber and Ultra Violet. The emitters are set behind collimators to give nice soft edges to the beam - it also means you don't get colour fringing around shadows - it's beam angle is 25 degrees so about the same as a PAR can. However, it's a PAR can that can also give you UV and change colour! It's a convection cooled unit, so there's no fan to worry about which makes it ideal in a small space or in situations where you have to rig it close to an audience. 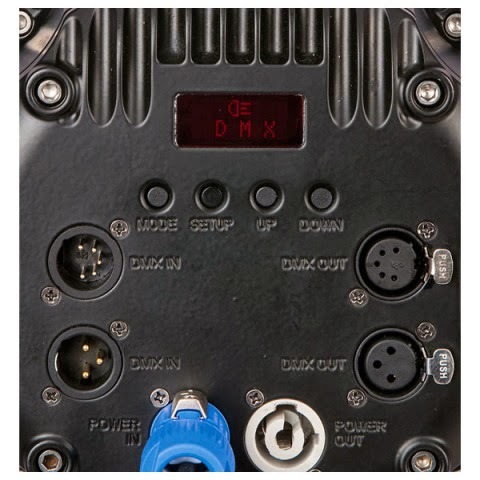 The back panel comes with a variety of connectors attached - as you can see, it has 3pin and 5pin XLR for the DMX and locking Powercons for it's power. There's much debate going on elsewhere about whether the UV from these units is 'true' UV but from our brief trials in the shop, it seems to make stuff glow nicely which makes it handy if you need UV on a small stage and can't afford the space to hang cannons or fluorescent fittings too. It also has the advantage that the UV can be dimmed or strobed - so those neon signs for West Side Story or Pajama Game become a doddle! The Powerspot is on our eShop here and again - if you'd like a demo, then please give us a call.